Is anyone else more than ready for spring? It feels like Mother’s Day was the perfect event to help set it off; each of our homes (as well as the Powder Office) are now filled with fresh flowers – perfect as long as you don’t suffer from hay fever! It got us to thinking about some of the other things that we love about this time of year; the warmer and brighter days coming around after the spring equinox, attending numerous festivals, getting inspired after reading Mari Kondo and doing a good-old clean out, putting away the layers of cosy winter clothing and lightening up for spring, enjoying the full new Spring/Summer 2019 Collection by Powder, not forgetting Easter and all of the goodness that comes with it! We’ve got lots of exciting things on the horizon, including a collaboration with the fabulous Ruby Shoo, a festival-style shoot, getting ready for Easter…as well as a couple more sweet-treat recipes! We thought that we’d share a little overview of what’s to come and some items that we're loving to get you ready for the month ahead! 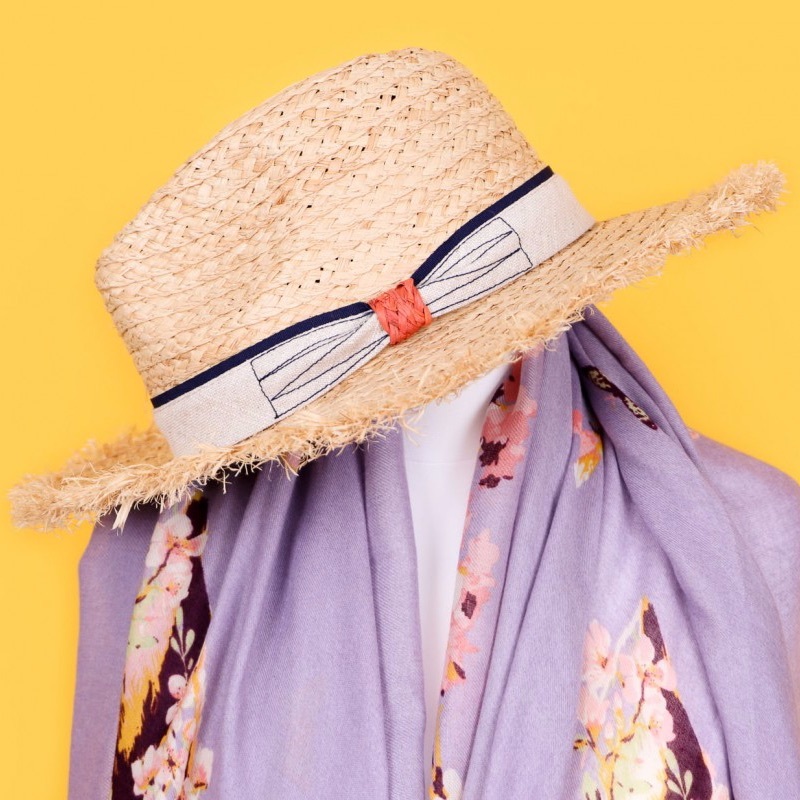 Made with 100% raffia, our Harper Hat is both a durable and stylish choice this spring! It’s the ideal staple accessory for long walks when the British sunshine shines, or for when you’re jet off on your travels this summer. Not only that, but as it comes with our complimentary hat gift box, our Harper Hat also makes the perfect gift! 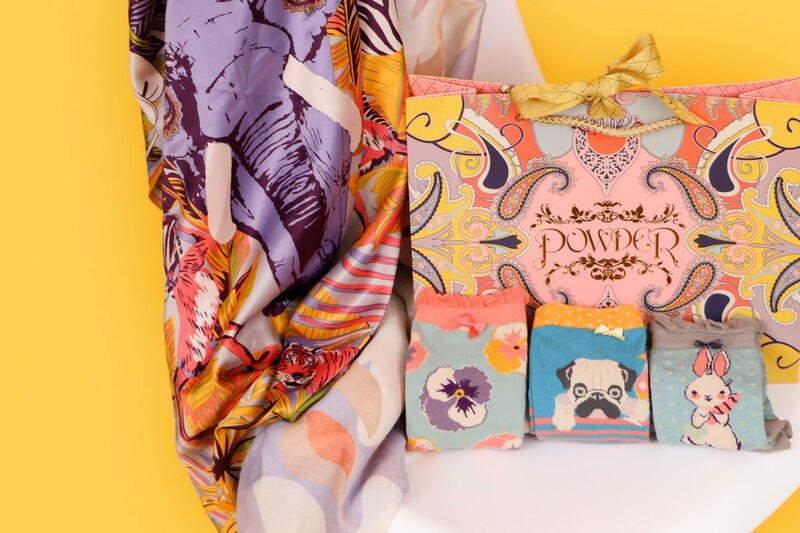 As you know, at Powder we are best known for our fun and quirky sock collection! 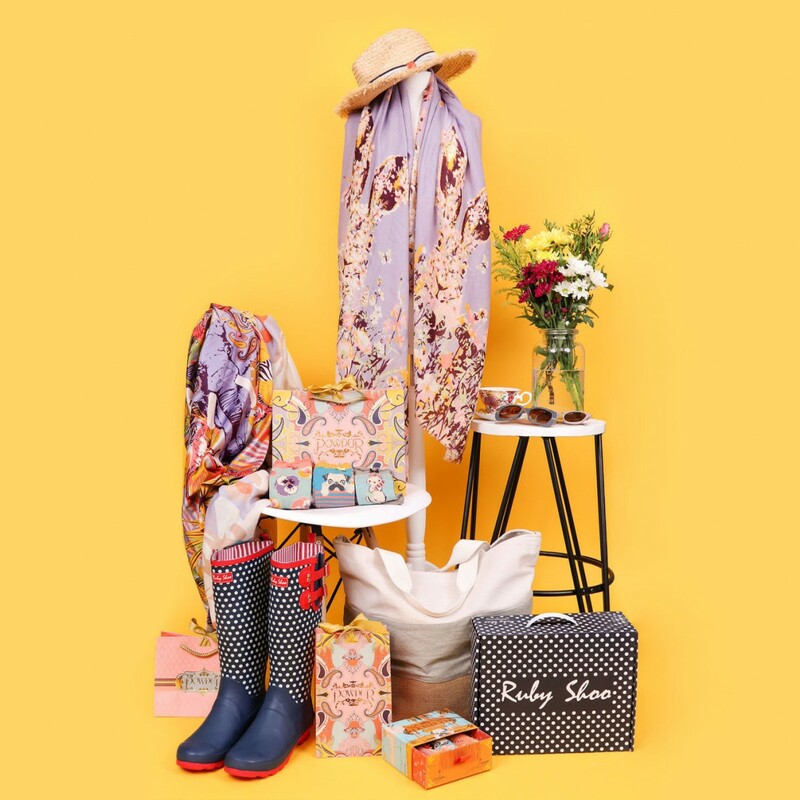 We’ve got Knee-High Socks that are perfect for pairing with wellies this festival season, not to mention our cute Bunny & Carrot Ankle Socks which would make a lovely gift this Easter! As the sunnier days come around, you may even be intrigued to try out our brand-new Trainer Socks! 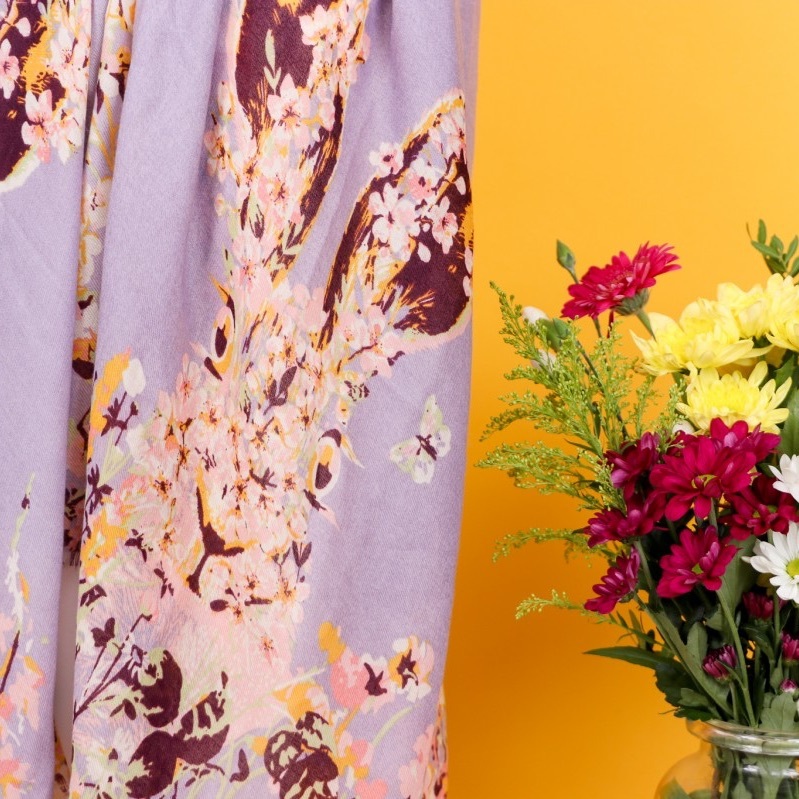 Don’t you just love the cute and quirky design of our Spring Hare Printed Scarf? Why not add this seasonal friend to your outfit this spring? We love how the woodland foliage comes together in purple and mint tones to create the design of the hare! It’s all in the details! If you’re anything like us, you will love it when colour match together! If you do decide to buy our Spring Hare Printed Scarf, our Daisy Printed Scarf, or even our Elephant Parade Satin Square – why not invest in a pair of Powder Sunglasses that would compliment them? 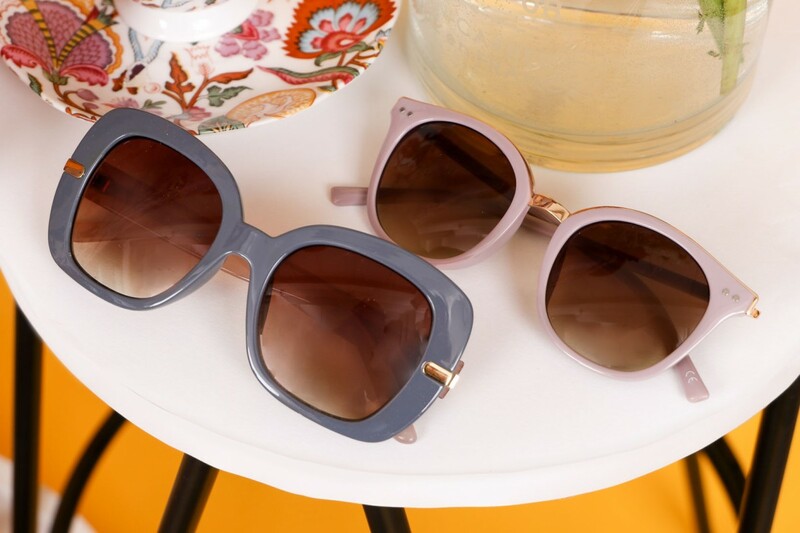 Our Roxanne Sunglasses in Indigo/Beige would be an ideal fit – as would our Adele Sunglasses in Lavender! Do you have a birthday coming up? Perhaps there is someone in your life who you never know what to buy for? Maybe you just have a friend who loves the beach, pugs, and cocktails! We know we do! 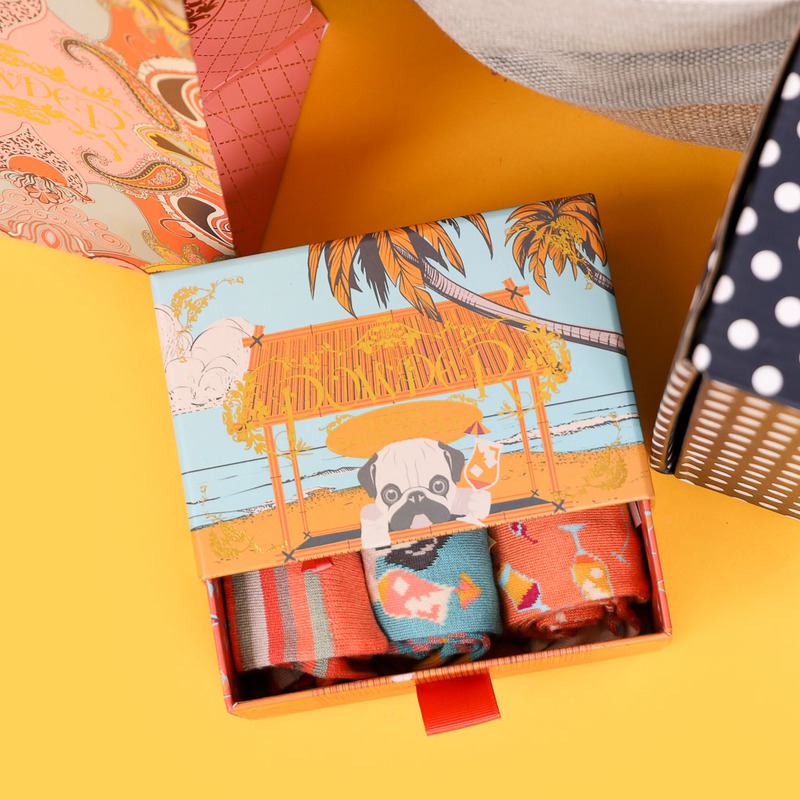 Our Pug Beach Bar Gift Box is perfect as a present or for simply treating yourself with! 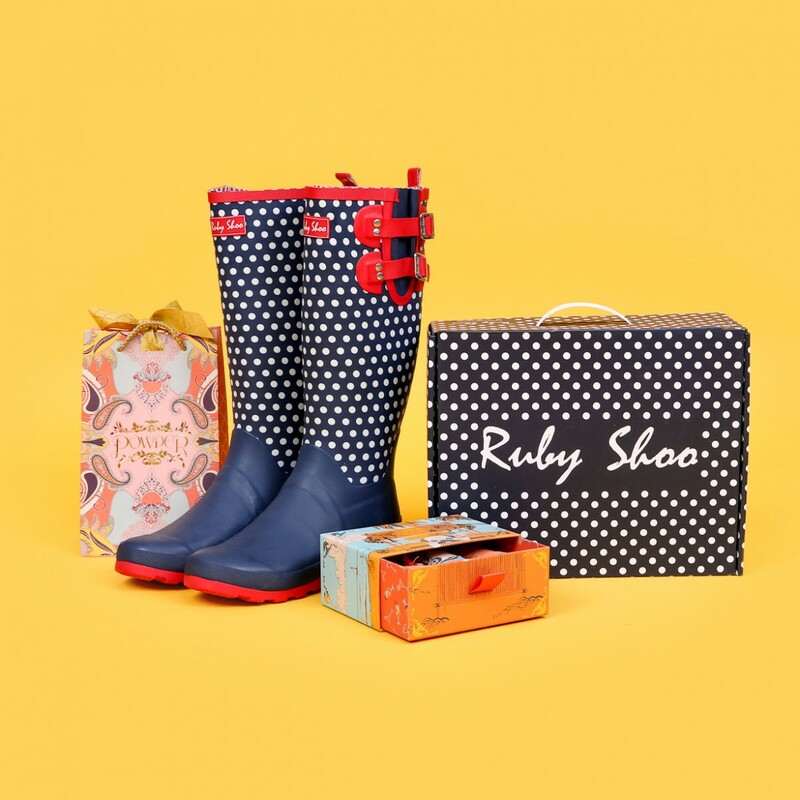 We are delighted to be announcing a very special collaboration between ourselves and the team at Ruby Shoo! If you’ve not checked out their latest collection already, make sure you click the link here to take you to their website! Keep updated on all our social media channels (Facebook, Instagram, Twitter) to make sure you don't miss out! What are some of the things that you're looking forward too at this time of year? Do you have your spring outfits planned already? Looking forward to putting you warm and woolly clothes away and replacing them with shorts and summer dresses? Let us know what tickles your fancy from the new Powder Spring/Summer 2019 Collection - and - don't forget to share pictures of you and your Powder accessories on social media (using the hashtag #powderuk) in order to be in with the chance of winning a £100 Powder Voucher to use online! Find out more information and submit your photo here!